Product prices and availability are accurate as of 2019-04-17 19:38:24 UTC and are subject to change. Any price and availability information displayed on http://www.amazon.com/ at the time of purchase will apply to the purchase of this product. 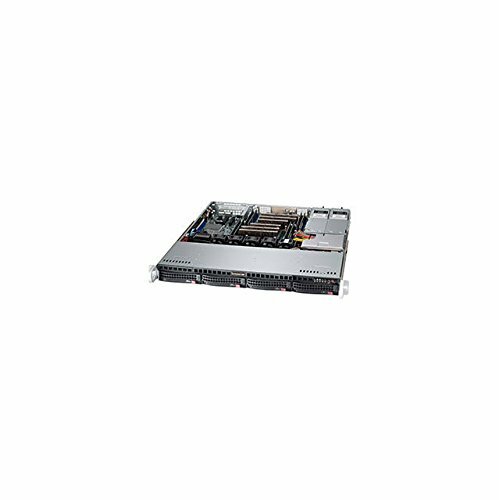 Case Type: 1U Rackmount M/B Type: ATX (12.0 x 10.0 inch), MicroATX (9.6 x 9.6 inch) Processor Support: Dual, Single Intel/AMD Processors Drive Bays: 4x 3.5" Hot-swap SAS/SATA Drive Bays Expansion Slots: 1x Full-height Expansion Slot (Riser Card Required) Power Supply: 440W/480W 80 PLUS Platinum Certified AC Power Supply w/ PFC Cooling System: 4x 40mm High Performance Fans Chassis Only. Does not include CPU, MB, HDD, memory or other parts.